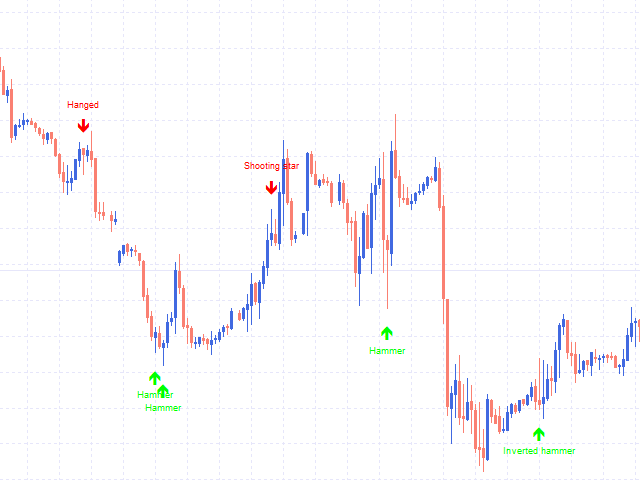 The indicator shows hammer candlestick patterns, inverted hammer, shooting star, hung. The indicator will be an indispensable tool for traders who analyze candlestick charts. You can adjust the shapes to your liking, selecting only candles with a long tail, or a body of a certain size. You can also choose the width of the trend formed before the figure, and turn off the figures that do not take into account. What shapes to show - what shapes to show on the chart.